The Pakistani Taliban has staged a bloody comeback in Malakand division by killing three peace committee chiefs, reports Tahir Ali. The Taliban have made a strong comeback in Malakand division -- consisting of Swat, Buner, Chitral, Dir, Shangla and Malakand districts in northern Pakistan -- after killing three different leaders of peace committees. The targeted leaders were involved in forming Aman Lashkar (peace force) on behalf of the Pakistani security forces during Rah-e-Rast (straight path) military operation in 2009. Operation Rah-e-Rast was one of the most successful military assaults in Pakistan -- and one of the major reasons behind its success was the support of local elders who formed peace forces and ousted the militants from their respective areas. Local resistance against militants made dreaded Taliban leader Maulana Fazlullah aka 'Mullah Radio' and his men to leave Malakand division and seek sanctuary across the border in Kunar and Nuristan provinces of Afghanistan. From 2007 to 2009 Maulana Fazlullah's men were ruling the Swat valley with iron fist. It was a time when women were restricted to boundary walls of their houses; girls were banned from going to schools; police stations were bombed and the policemen were compelled to resign; parallel courts were set to decide the cases of locals; barbers were banned from shaving the beards of their clients; dancing girls were either flocked in public or butchered. Operation Rah-e-Rast was launched in April 2009 to free the locals from the clutches of the Taliban militants. Although the operation made 2.5 million Swati tribesmen leave for safer places, they returned to the valley very soon and peace was almost restored. After an effort of almost three years, Maulana Fazlullah reorganised his men and started cross-border attacks over the Pakistani security forces in Dir and Chitral districts. 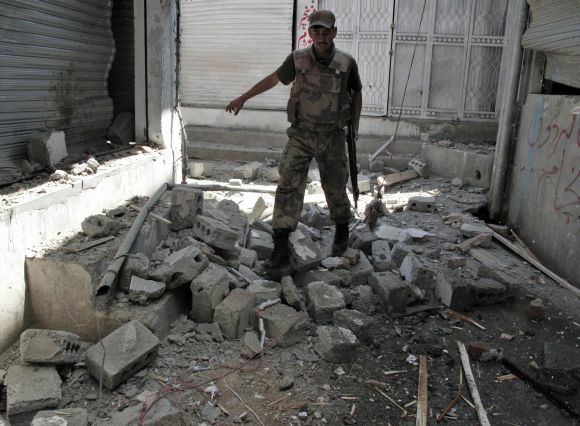 Although the attacks were successful initially, they didn't create much panic among local people as these attacks took place in scantily populated areas bordering the Malakand division. However, fear gripped the locals again when the Taliban successfully attacked Malala Yousufzai, a child activist, on October 8 and the attacker successfully fled the scene. The activist is recuperating at a hospital in London, according to doctors. Ihsanullah Ihsan, central spokesperson of the Tehrik-e-Taliban Pakistan, proudly claimed responsibility for the attack and said, "The attack shows that the militants are not defeated in Swat valley." Even though the Malala incident created a major uproar across the world, terror has already made its return among the local people. Pakistan's Interior Minister Rehman Malik claimed that Malala's attacker was sent by Maulana Fazlullah from across the border, and thus the locals need not be worried as their areas were still peaceful. However, with the chill of November setting in, a new surge of target killings have been witnessed in the region. This time the militants targeted those elders who had led peace forces against them in Malakand division. These attacks were very calculated and accurate -- first the head of a peace committee was killed in Swat followed by the killings of peace committee leaders at Buner and Lower Dir districts. On November 1, militants killed Fazal Ghani, who was chief of a local anti-Taliban peace committee in Swat. TTP spokesperson Ihsanullah Ihsan claimed responsibility of the killing and said, "He was involved in anti-Taliban activities and we never forgive our enemy; anyone who has helped the security forces against us in Swat valley will be targeted." On Saturday, the Taliban removed another peace committee chief at Buner district. Malak Saeed Ahmed Khan, the deceased, had got the title of Fateh (conqueror) after he played a key role in defeating the Taliban in Buner district. Malak Fateh was affiliated with the Awami National Party, a secular Pashtun nationalist party that the Taliban considers as their worst enemy. Sunday also witnessed the killing of Abdur Rehman, the anti-Taliban peace committee chief of Lower Dir. He was killed at Maidan Tehsil area of Lower Dir where a massive military operation took place in 2009. It was the third attack over Rehman who was politically affiliated to the religio-political party of Jamaat-e-Islami, and one of the previous two attacks included a suicide attempt. Hina Khan, Pakistan's next Malala? 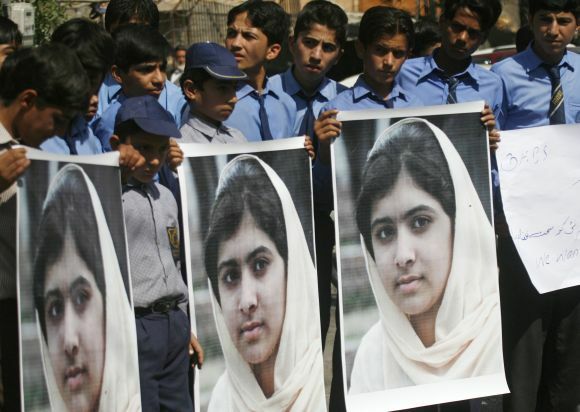 Al Qaeda: What's wrong about Malala shooting?